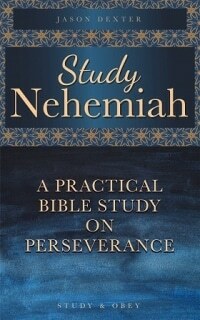 What did Nehemiah do after the wall had been finished? How did he start to take them forward from pre-wall life to post-wall life? What do we learn about Nehemiah from this? What type of people did he put in charge? Why is this important? What is the point of Nehemiah’s plans in verse 3? What did Nehemiah plan to do in verse 5? How did he get this idea? How does this relate to chapter 8? Verse 1 – Rebuilding the wall wasn’t the end. It was the beginning. There was still work to be done. Nehemiah wanted to make sure that things would run smoothly. He wanted to make sure that things wouldn’t regress. There are times to build and there are times to preserve what has been built. Imagine how foolish it would be if after all of that work rebuilding the wall a tactical mistake allowed the enemy to come in to the city and defeat them. Nehemiah continues to organize and delegate and make sure that every detail is attended to. He sets rules for the opening and closing of the gates and appoints guards – If one gate was left open at the wrong time or if one spot was unguarded all of their work may have been done for nothing. Nehemiah understood that their achievements and past victories would not guarantee that the enemy would stop trying to destroy them. He understood that his enemy would persevere. He surveyed the wall to find the weakness to fix it before. Now his enemy would survey the wall to find the weakness to attack. Application: We should be alert and aware. We should understand our weaknesses and take appropriate measures to protect ourselves from temptation in those areas. For example? Nehemiah called the people together – God put this idea in his heart. We will see the result of this idea in chapter 8. Worshiping God is a community affair. Both in the Old Testament and now we need to fellowship with other believers. This is the public side of our faith. We can both receive and give encouragement to others. We can challenge each other. We can both receive teaching and teach others. Two are stronger than one. Together we are stronger than we are by ourselves. Be sure you regularly fellowship with and serve God together with other believers. How many people returned in the first wave? Are there any lessons we can learn from their return? Many of the families made the decision to go back to Jerusalem. This could not have been an easy decision. Most of them were born and raised in the Babylonian Empire. This was “home” to them in a sense. The people they knew were there. Their houses were there. They had friends there. They had careers and jobs and possessions. They had security. Back in Jerusalem they wouldn’t know what to expect. Certainly there would be dangers both on the way and when they arrived back. They would have to start their lives completely from scratch. They would face difficulties and opposition. But they made the choices to go because God stirred their hearts. God put this desire in their hearts and they responded. They realized that Babylon wasn’t really their home. It wasn’t the land God had promised to them. Judah was their home. This is similar to the concept that we are also aliens in a foreign land and our citizenship is in heaven. Application: These people obeyed God’s will for them much like their ancestor Abraham had done so long before. We must be willing to obey Christ no matter how much it costs. That is what it means to be His disciple. The list in Nehemiah the 7 is the same as the list in Ezra 2. The people each returned to his own city. Although 70 years had passed they continued keeping track of family lines and property ownership. Ezra numbers all the people meticulously. I get the impression of a very organized return. It is not chaos. Everything is done in order. The leaders taking them back know exactly who is going back and where they will go and who they are with. This gives a certain amount of safety and accountability. You can imagine they also likely did some periodic counts to make sure that everyone who left Babylon was still safe and in the caravan. We see some people from all of the key groups returning including: Benjamin, Judah, Levites, Priests, and Temple Servants. If you add up all the numbers given in the first part of the chapter, it is actually around 10,000 short of the number given in verse 64. This is explained by the fact that Ezra doesn’t list out everyone by family, probably not including the numbers for non-Judah and Benjamin tribes. We also see that there are a couple of groups who could not find records of their ancestry. They were therefore excluded from serving as a priest until a priest could ascertain God’s will for them from the Urim and Thummim. What is that? Upon returning to the land, one of the first things they did was give a contribution to the temple to build the foundation. This appears to be by a volunteer basis. The people freely give of what they received when they left Babylon. This gets the temple construction project off to a good start. I notice that the number of people returning seems very few. There are only 42,360. Contrast that with the likely 2 million people leaving Egypt at the Exodus. We can see Israel has been humbled. It’s position is very low. They have no standing, status, or power in world affairs. Later we will see that Jerusalem is a pitiful sight with no walls. The few things they have were mostly given to them by charity. They only have the right to be there because the leader of the empire they now serve gave them permission. No more are they a strong, proud, independent nation. They are lowly servants dependant on the crumbs falling from their masters’ table. What can we learn from this? God certainly blessed them and showed them His grace to allow them to return. But sin doesn’t come without consequences. God eventually forgave them and restored them. But what they were restored to was much less than what they lost before. In our own lives, God will always be willing to forgive us and accept us back again, but it doesn’t mean that we can get everything we had before we sinned. Therefore by far the best choice is to never stray from or disobey God. Who donated? What kind of things did they donate? What can we learn from them? Why did they get together? What did they want to do when they got together? How long did Ezra read? What did he read about? What was the people’s attitude like? What did the people do when Ezra started reading? How did the people respond to the reading? Big Idea – The people respect God’s Word. This is shown by them desiring to learn it and paying attention to it. The people gathered as one – The work they had done unified them. They saw the tremendous result of what had happened when they worked together to rebuild the wall. This was encouraging to them. It encouraged them to continue working together. We learned at the beginning of chapter 7 that Nehemiah called the people together. His example had inspired them to the point that they all responded to his summons. Unity was important for the Jewish remnant. It is also important for us to be unified with other believers, to unite to work together and to unite to study God’s Word together, not allowing petty differences to distract us from the goal of building for God. They asked Ezra to bring the book of the law of Moses out – The people took initiative to ask Ezra to bring out the book of the law (Genesis to Deuteronomy). It shows real maturity that they wanted to learn about God’s Word. The focus of their get together was not partying. It was not drinking. It was not feasting. It was not having fun. It was not music. It was not chit-chat. It was not catching up. The focus of their time together was God’s Word. Some of the other things came later, but God’s Word was the epicenter of everything else. God’s Word could help them grow. It could strengthen them. It could change their hearts and change their lives. God’s Word was their (and is ours) spiritual nourishment. (Verses on God’s Word: Hebrews 4:12, Matthew 24:35, Proverbs 4:20-22, Colossians 3:16, Isaiah 40:8, Psalm 119:103, Mark 13:31, 1 Peter 2:2). The Jews’ initiative to ask for the law to be read showed that they loved God’s Words. God’s Word was sweet to them like honeycomb. Application: Do you desire God’s Word like this? 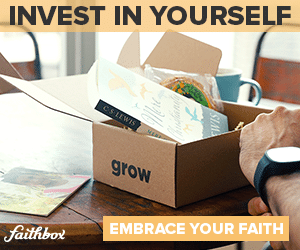 If you have free time, will you choose to just open up and enjoy reading the Bible? Is God’s Word the center of your get togethers with other believers? Give illustration of basketball friends who get together and eat/drink, but it’s empty because God is not the center. Men and women and everyone who could understand joined – God’s Word is not just for some people. It is not just for men or women or old or young. It is for all. It can benefit everyone. Even children joined in. Application: These days people are often in a hurry to send the children off. Some think children are a nuisance or a distraction. Others think that children cannot understand or are too young. Others may just let their children go and play because it is easier. We should not talk down to our children. We should teach them up. If you never teach your child something he doesn’t know he will never learn from you. We should help our children to improve their focus and improve their understanding by challenging them and stimulating them instead of taking the easy way out. People were able to get up early to listen. The church I go to many of the people are late, often very late. It doesn’t even start until 10:00. There is no good excuse for this to happen week after week. If you desire God’s Word, get up early enough to be on time. You can also get up early to read it before going off to work. People were able to listen (and pay attention) for a large chunk of the day – These days our attention span is shamefully short. If the speaker goes on for 40 minutes a lot of people in many churches will be sleeping, checking their watches, or messing with their smart phones. An hour and a half is considered an eternity. How many of us would enjoy joining a service that lasted most of the day? How many could focus and pay attention for that long? If you love God’s Word you need to exercise your mind by paying attention carefully and increasing your attention span. Do not be in a hurry to leave church or fellowship. Do not get bored and tired of listening to the Word easily. If you love the Word you will want more of it, not less. Respecting the Word of God means preparing – The people prepared a wooden podium. This allowed everyone to see and hear Ezra. Building the podium and moving in to position was work, but it was work that was well spent. If we respect God’s Word we will want to find more ways to aid the spreading of it. What work can you do to aid the spread of God’s Word? The people stood up to listen to the Word of God – Why? It showed their respect. They took it seriously. They realized it was direct revelation from God. It looks like they stayed standing for the entire time! This would have been exhausting. Try standing up in one place for an hour. It’s tiring. Doing that for hours and hours is very difficult. It requires a lot of energy. When you respect God’s Word you will make sacrifices for it. It will cost you energy. It will cost you time. It may inconvenience you. But it is worth it. We should take God’s Word seriously. We should make it a priority. If it is a priority, you will sacrifice for it. What can you sacrifice? Sleep, time, entertainment, etc. The result of respecting God’s Word is praise – Spending time learning and studying God’s Word brings about changes in the life of the person who does so. God’s Word will not return void. It is living and active. The person who loves to read and study the Bible is a person who will love to praise and worship God. The two go hand in hand. In the Bible we learn about God’s greatness and our sinfulness. After we look at God and see His greatness we will respond by worshiping God. They expressed this worship verbally and physically by bowing. Later they would express their changed hearts by obeying what they learned. They read from the law – Ezra was not the only one reading. Other Levites also read and instructed the people. It seems that the large group split into smaller groups. Perhaps this was because of no microphone? The smaller groups were led by Levites. These Levites read the law. Then they explained it making it clear and understandable to the people. The goal of their speaking was to make God’s Words clear.